Backed with $2.3M in angel funding, emerging mobile and browser developer, Narvalous, today announced the open beta launch of Chrono Wars: Light of Darkness: an action-packed MMO game localized from the wildly-successful The Light of Darkness franchise. The game runs on FancyBeans’ proprietary Fancy3D Engine that allows users to play the client-quality game as easily as they would a browser game. Chrono Wars: Light of Darkness takes players on an epic journey through 2,000 years to mend the fabric of time and save civilization. It is a free-to-play game that runs effortlessly on PC with either a tiny launcher or on all major browsers. The game will also be playable on Mac OS soon. Chrono Wars begins right after a tragic car accident, when players find themselves in another time, another place. After choosing to play as one of the three distinctive classes — a Berserker, a Knight, or a Mage — players begin their quest through six historical eras, crossing different continents to help save the world. Along the way, they will work hand-in-hand with legendary heroes throughout the centuries, such as The Great Caesar, King Arthur, Robin Hood, and Jeanne D’Arc, and partner their highly-evolvable battle pets to destroy powerful monsters and demons through glorious PVE, PVP, legion battles and boss fights. In every era, players will uncover and collect historical relics, such as King Arthur’s crown, Robin Hood’s bow and Merlin’s wand – all of which can be used to protect civilization. Interested players can learn more about the game or try it for themselves here. This entry was posted in Articles, MMO MMORPG News on February 27, 2015 by Darren Henderson. This entry was posted in Videos on February 27, 2015 by Darren Henderson. Perfect World Entertainment and Cryptic Studios have posted a small memorial today for Mr. Nimoy. 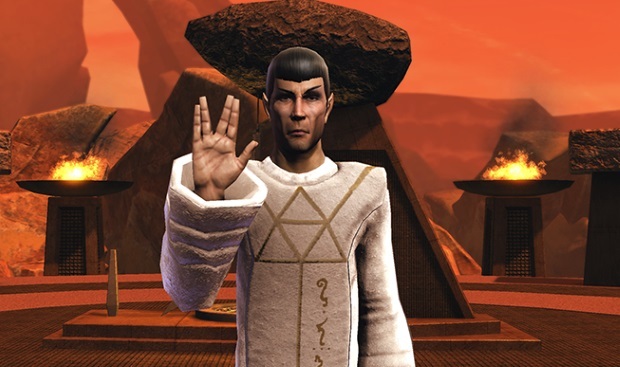 Additionally, they are encouraging players to visit the virtual Vulcan to pay their respects to the legend. You can see fan’s thoughts and screenshots of memorial visits on Star Trek Online’s official Twitter. Our own condolences go out to family, friends, and the community at this loss. This entry was posted in Articles, MMO MMORPG News on February 27, 2015 by Jaime Skelton. Warhammer 40k: Dark Nexus is an upcoming MOBA set in the futuristic world. Check out their first gameplay demo. 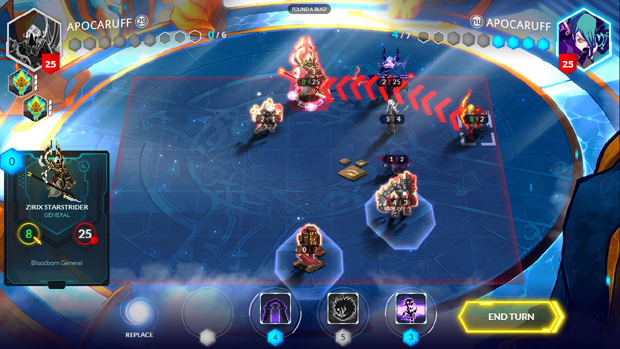 Duelyst is the brainchild of the group of friends at Counterplay Games. Originally started as a board game created just for game nights, Duelyst evolved into something more. A Kickstarter campaign began in March of 2014 with the original goal of $68,000, which the team bypassed to reach $137,707. Counterplay Games is made up of industry veterans and long-time friends, who have worked on games such as Diablo III, the Ratchet and Clank series, and Rogue Legacy. One of those veterans is Keith Lee, who I was lucky enough to have an hour-long chat with recently. “Our focus is to build a competitive game that is five to ten minutes long only, and pay homage to the really fun tactical like Fire Emblem or Final Fantasy Tactics,” Keith said. We started off with Keith giving me a run-down of the game, then followed up by playing a match. 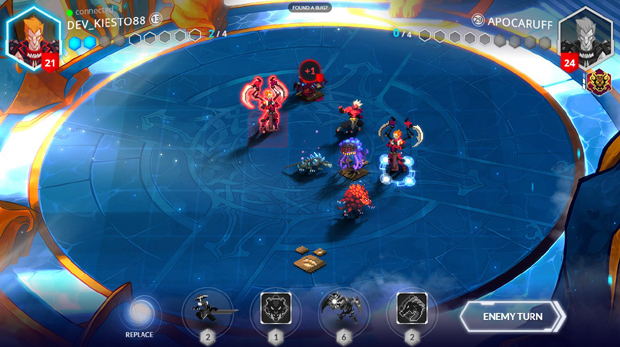 Duelyst is a tactical CCG with strong top-down turn-based strategy elements, inspired by Final Fantasy Tactics and Fire Emblem. Counterplay wanted to create a fast-paced experience that will only last a few minutes, cutting out the common problem that many turn-based strategy games have where players will often lose interest in a particular match or even the game itself. The game is made up of six different factions (five are currently available), with a seventh “Normal” category that encompasses all non-faction cards. Each faction has its own unique traits to differentiate it from the others. For example, the Abyssian faction has units with the ability Death Watch. This ability activates whenever a unit dies, with a number of effects being possible depending on the card. Each faction has several of these traits they make use of, allowing for a wide array of different strategies to be played. 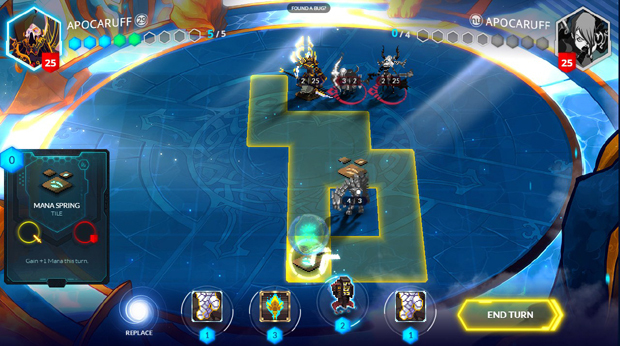 Duelyst is a turn-based strategy game as well as a card battle game, so placement of units is key. Your goal is to defeat the enemy General, one of the units on the game board, while protecting your own General. A common strategy is attempting to “box-in” an enemy General with your own units so that it can’t run away, leaving them susceptible to a continuous beating. There are also three one-use Mana Springs on the board that will provide you with a single extra mana point to be spent on summoning extra units or spells. The cards themselves are split into three categories: Battle Units, Spells, and Artifacts. Battle Units, or simply Units, are self explanatory. Spells are your typical affair, used to provide some benefit to yourself or harm to your enemy. Artifacts are something interesting that I haven’t really seen used before. These are cards that act as a sort of “buff” for your general, such as the Lyonar faction’s Artifact Skywind Glaives, which gives +2 attack to friendly units near your General. These Artifacts come with their own Health Pool that can be depleted to destroy them and their beneficial effects. Careful unit placement is key. Most units will have some sort of mechanic attached, such as Ranged, which allows a unit to attack any other unit on the board, or Provoke, which forces nearby units to attack the Provoke unit before they can do anything else. The game seems to be heavy with these type of mechanics, especially when you get into the meta and look at some higher-end decks. Rush or Airdrop units are fantastic for grabbing Mana Springs before the other player, while Provoke units are fantastic for forcing your opponent to play the way you want them to. Ranged allows for decent damage to be dealt from a safe distance without the fear of the retaliatory damage, and Backstab allows for extra damage if you attack a unit from behind. There are twenty or so of these mechanics currently in the game, so there are is a lot of opportunity for theorycrafting your way into a fantastic deck. Another feature of the game I was interested in was the art style. I was intrigued by the decision to go with pixel art rather than the high-detail images that most games of this style use. When I asked Keith, he told me that the decision was partially to pay homage to some of the games that helped inspire the creation of Duelyst. Plus, there’s no denying that Glauber Kotaki is a fantastic pixel artist and animator. And with the new Free-to-Play model (which I will get into in a moment), Keith says they will be able to support even more tournament and competitive play. But not everyone wants to be a top-of-the-ladder pro player. Some just want to discuss the game and become involved in the meta, or simply watch others play. So Counterplay has taken steps to ensure that those types of players (or viewers) can enjoy the game as well. Up until recently, the Counterplay team wanted to keep Duelyst a buy-to-play title without any sort of micro-transactions. The recent reveal that a free-to-play model would instead be used has upset a few Backers of the Kickstarter. One user even claims, “…that’s quite the slap in the face to those who pledged to get a full game made.” It seems a lot of requests for refunds have been made, too, with Counterplay Games commenting that they are “still working out the details” on a refund program and hope to have the information available by the next update. Of course with this recent controversy, I asked Keith why the decision was made. His answers were practical and he went into detail explaining the ins-and-outs of the decision. As the development of the game continued and their team expanded, the game evolved from a simple game with some thirty-odd Units to something with over three hundred units, spells and artifacts. After researching into it, Counterplay realized that they wouldn’t be able to provide regular content updates while maintaining servers and providing other support for the game with the one-time payment model. If they kept that, it seemed like the longevity of the game would also be in jeopardy. With switching to Free-to-Play, Keith says they’ll be able to ensure monthly content updates with new cards, lore, tournament support, and more. And with easier access comes a larger community, which will drastically improve the longevity of the game. Not many people want to play a game where there is only a handful of dedicated players and where every potential new player is scared away because there’s no one at a similar level to play against. I believe the current Backer Beta is a good representative of how the game may have ended up if it had stuck to the buy-to-play model – for my first twenty or so matches I got constantly stomped because the matchmaking was so skewed. When asked how they plan to keep the game from gaining the dreaded “pay-to-win” title, Keith said they would only be selling cosmetics – skins for generals, for example – and Booster Packs. It will still be possible to get these Booster Packs and craft cards via in-game means, but if you would rather pay for convenience you can do that. Keith said they took inspiration from games like Hearthstone, League of Legends, and DOTA 2 for their free-to-play model. I think that if they do try to emulate the model that Hearthstone goes with, there really shouldn’t be a problem with the game becoming pay-to-win. Its also been said that all Kickstarter backers would receive compensation within the game for their donation. One thing I was very interested in was the projected release date. When asked, Keith told me that they were hoping for a Summer 2015 release. That’s not too far off – just a handful of months. Those who are hoping for a mobile release will be pleased to know that, even though the Kickstarter stretch goal wasn’t reached, Counterplay is planning to release on Mobile devices sometime during Q4 2015. But if you can’t wait, they are accepted beta sign-ups on the Duelyst website. There’s a lot to be excited about when it comes to Duelyst. It’s an interesting concept, combining what we love from card cattle and turn-based strategy games and giving it a strong competitive twist. My time playing the game has been staggeringly positive, my only gripe being that I wish the community was larger. But that won’t be an issue for long, either, as Counterplay Games is accept beta applications and release will hopefully be coming this Summer. 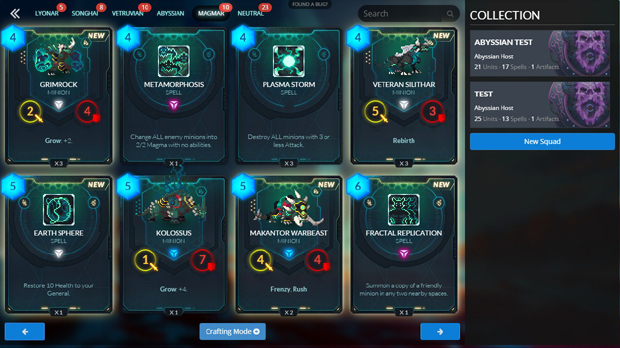 If you’re a fan of turn-based games, or of card games, definitely check out Duelyst as it has a lot to offer! This entry was posted in Editorial, Featured Articles, MMO MMORPG News on February 27, 2015 by Jordan Hall. Cross-Platforming and More Are you worried about not being able to play Combat Monsters when you’re away from your computer? Fret not! Not only is Combat Monsters cross-platformed between PC, iOS, and Android, but players can also use the same account between all platforms! There are even plans to release Combat Monsters on Windows 8 and Mac in the future! This entry was posted in MMO MMORPG Games List on February 27, 2015 by Christopher Majot. Prepare to put your deck to the ultimate test in the Frost Ring Arena, a four stage gauntlet featuring 20 different fights. Coming soon to HEX: Shards of Fate. World of Warcraft is offering a temping fiery Cindermane Charger in exchange for bringing friends into the game. 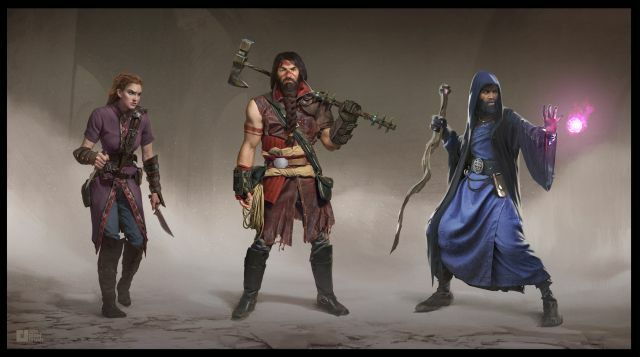 OtherSide Entertainment has today passed its crowdfunding base goal of $600,000 for Underworld Ascendant, ahead of the Kickstarter campaign’s end date of March 6, 2015. With the long-awaited sequel to the highly influential Ultima Underworld series now funded, OtherSide has announced that it making a few adjustments to its initial stretch goal tier. A whole new area of the Underworld – The Underswamp – will open up when the game reaches the $650,000 mark; at $700,000 celebrated fantasy author Tracy Hickman will write an Underworld Ascendant prequel novel; and Lizardmen, a fan favorite, will be included in the final game if the Kickstarter campaign achieves the $750,000 stretch goal target. This entry was posted in Articles, MMO MMORPG News on February 27, 2015 by Michael Sagoe. The Repopulation Team has announced that the servers will be going down at 9AM EST this morning to apply the 15.1.1 patch. Expected downtime is 4-8 hours. This patch includes a massive number of changes to the combat system, trade improvements, resource changes, and much more.